Feiwel & Friends, 9781250045249, 352pp. 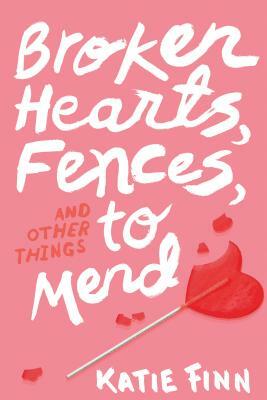 In Broken Hearts, Fences and Other Things to Mend by Katie Finn, Gemma had her summer all planned out, but it takes sharp turn when she gets dumped and finds herself back in the Hamptons after a five-year absence. Being there puts her at risk of bumping into Hallie, her former best friend (that is, before Gemma ruined her life). But people don't hold grudges forever. Do they? Gemma intends on making amends, but a small case of mistaken identity causes the people she knew years ago—including Hallie and her dreamy brother Josh—to believe she's someone else. As though the summer wasn't complicated enough already. Can Gemma keep up the charade? Or will she be found out by the very people she's been hiding from?